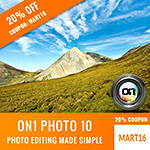 Ron Martinsen's Photography Blog: REVIEW: onOne Perfect Photo Suite 7–Look Out Adobe, Nik, Imagenomic and Anthropics! REVIEW: onOne Perfect Photo Suite 7–Look Out Adobe, Nik, Imagenomic and Anthropics! onOne Software is one of those companies that just keeps trying harder and harder to be the best and I think they are going to get there (especially if Google blows it with the Nik Software acquisition). I just got my copy of Perfect Photo Suite 7 recently and I’m super impressed. In fact, I’m so impressed that my original plan to post an article about it in mid-December had to get pushed up so I could share the news with everyone before they blew all of their money on Black Friday & Cyber Monday – ha, ha! Perfect Effects – Color Efex Killer? Perfect Photo Suite 7 is fast and powerful – a big improvement over 6! While the photo editing above is pretty ugly (created to illustrate some points during a quick tour of the UI), what I’m seeing that has me so excited is that there’s even better layers support with blending modes and stacking that feels very Photoshop like. 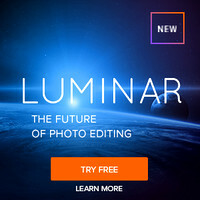 This is a huge win for Lightroom users who don’t own Photoshop, but long for its powerful masks and blending modes. There’s also the addition of some popular Nik Software Color Efex filters like Tonal Contrast, Green Enhancer (called Foliage in Color Efex) and Golden Hour Enhancer (called Skylight in Color Efex). While I wouldn’t say the default settings are as good as the Color Efex equivalents, the flexibility in the in Effects Options gives you the ability to get there – and do it with only one suite instead of having to buy both Perfect Effects and the Nik Software bundle. If you use Lightroom/Aperture and don’t have Photoshop, I think onOne just changed the game where you’d be better off owning Perfect Effects than Color Efex. Color Efex is my bread and butter app that I can’t live without so I won’t give it up because I own Photoshop, but what they’ve done in this release is making me give it a closer second look! One of the things I really love about this release is that right off the bat you are given very helpful intro help on how to use the products. No more wading through long videos or docs – it just tells you what you need to know now to get going – much like cell phone apps – woohoo!!! Oh my God, sometimes things are better than what you can wish for and that’s the case with Perfect Resize 7.5 Pro! I would have never dreamed up the presets that they have for the different papers and iOS devices, but that rocks big time!!!! WOW, WOW, WOW, WOW!!!!! onOne Software just took the best resizing product ever and made better – I’m floored! If you’ve got to resize images, at a minimum you’ve got to get this upgrade – it’s totally worth it (especially if you do gallery wraps). Look Out Silver Efex Pro, onOne Software Perfect B&W is coming to get you! Perfect B&W makes me think of the perfect BMW’s because their slogan is The Ultimate Driving Machine®, but when I use Perfect B&W I start to think it could make a run as the The Ultimate Black & White Plugin. Seriously, they’ve taken all the goodness that I love about Silver Efex Pro 2 (and I REALLY love that product), and one up’d it. Now my workflow with Silver Efex is pretty set and I’ve built my own presets, so it would take me a while to recreate the same exact looks with this product – but just like with Perfect Effects vs Color Efex – the potential to do that is there. You certainly don’t need both products as both are amazingly powerful. If you buy Perfect Photo Suite, your black and white needs are done – you’ll create excellent B&W processing of your images. This was huge surprise for me – I didn’t see this coming and I definitely thought it would be a half-hearted attempt. However, this is the real deal – the full monty and more! It Even Has Insert Image as a Layer Booyeah!!!! By accident I stumbled across this gem – woohoo!!! You can now throw another image in as another layer and use blend modes (think textures), opacity (think watermarks), masks (think crappy sky replacements) and more. This is another case where onOne Software is really peeing on Adobe’s lawn – seriously! Perfect Portrait – Say Goodbye to Portrait Professional! Anthropics Portrait Professional is popular due to its massive advertising and its ability to take some of the tedious work out of portrait retouching. However, I’ve never been super impressed with its results. Honestly I think it’s kind of cumbersome in its own right, and if I’m going to spend that kind of time I can do it better myself. Perfect Portrait builds on top of the “automatic” features that you find in Portrait Professional and makes things even easier and faster by offering excellent presets and easier to understand tools and UI. I’m probably still biased towards Portraiture for my skin softening, but for everything else portrait-wise this product can really save me a ton of time! I like it, and I’m definitely going to start using it on my portraits! This product is blazing fast – way faster than Photoshop – and damn near as powerful. The only thing I see it really lacking is a good noise reduction and sharpening product/solution (I’m still not crazy with what it offers). Add those things (done well) and there’s really little reason for most photographers to own Photoshop. This product is that good and comprehensive. It smacks Nik upside the head and says “c’mon punk, I’m coming after you”; it turns its back on Portrait Professional and says “welcome to the new world”; and it flat out puts up a big middle finger to Adobe and says “who needs you anymore”. Oh yeah, onOne isn’t going to make any friends with this release because they pretty much have given most of the products in my recommended plugins list a run for their money. I think that is a good thing though as it offers a better value to those who can’t afford Photoshop, and it pretty much keeps the rest of the industry on its toes. Great post on an awesome software suite for image processing. You did a great job of covering some of the important highlights on a very large collection of tools. Thanks for the onOne PPS 7 discount code. i used it yesterday to upgrade and i really like what they have done, especially with black and white. Again, thanks for all you do! Thanks for your recent focus on post processing. Bang for the buck invested in this area might be better than new cameras and lenses! Of course, starting with an interesting image is key. I've been very happy with Lightroom but am now ready for more. Your review of Perfect Photo Suite is very timely. your review seems to be sponsored. Thx anyway. Nope, I wasn't paid a single penny or even asked by onOne to write this mini-review. I've been following onOne Software for several years, and I was very excited by the improvements they have made to their products in this release, so I shared my enthusiasm in this article. I have recently tried this before the price drop of Nik. I love this software!!! I wish that when you could export from photo shop it would go to the standard format as opposed to a specific aspect - ie: export to perfect effects - then I have to save and export again to clean up portraits. A little tedious. And some slight crashes. But being able to preview before your filters are added is a plus - changing the effect of the filter blazingly fast. Just the crashes every once and a while. But A+ for the program! What are your thoughts about the new version 8 coming out? I preordered the upgrade. I am running on LR4.3, not sure if I want to upgrade to LR5.2, since my gear has not changed recently - still on D90. Not sure yet - I haven't had a chance to look at it yet, but I'll be talking about it on the blog once I have. 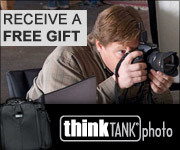 hi, I wonder how it renders colours, settings of RAW files from Nikon D700? What I am lacking in Lightroom is a possibility of importing images without Adobe to render the settings automatically (it's possible to narrow it down a bit to camera profile but this is not enough - I want the exact look of RAW in onOne as jpg on my camera. I don't want to waste time to getting back from RAW to JPG look, as JPG look is what I loved and tried to capture when taking the shot. How about this software? Will I have that possibility or also auto rendering like in Adobe? thanks for info. I'm not sure what you are asking. A RAW image file has no color rendering - it is simply a binary large object of data captured directly from your sensor. When that RAW file is interpreted by software, that software determines what that blob becomes. In-camera, Nikon creates a JPEG thumbnail that it stores in the NEF file and that's what you will see on your camera's LCD. The RAW to JPEG conversion is proprietary so the only way to get that conversion is to either shoot RAW+JPEG, JPEG only, or use Capture NX2 which will render it based on the prevailing algorithm in that version (which may differ from what your in-camera result is). Adobe makes its best guess and does a reasonably good job, and that's effectively what you'll be getting when you use onOne's Perfect Photo Suite. If you loved the JPEG look - then shoot RAW+JPEG and use the JPEG unless you made a horrible mistake with the white balance and/or have an under/over exposed area that needs recovering from the RAW - that's what I do. I installed the Trial Version of Genuine Fractals 5.0.4 on my Laptop which Resized to almost 100% accuracy; then found out my Friend has Perfect Photo Suite / Resize 7 on her Computer, so have been using HER computer for this instead (Version 7 doesn't work on my Laptop, too high). The thing is... Resizing with Version 7 is disappointingly not Sharp or Crisp. I have tweaked the Sliders in the Texture + other Panes, but it doesn't help. I would really appreciate your suggestions on this. The current version is 9.5, so I'd suggest going legal and trying the latest version on your computer. Doing the work on your friend's computer or running a trial for longer than 30 days is not authorized, and I don't condone software theft. 9.5 seems to be working fine for me. If it is not for you, then I'd suggest sending an image that illustrates the problem to onOne technical support. Thank you for your Reply, Ron. However, I'm afraid you didn't really comprehend my Question. I tried the Trial version for only 5 minutes, which was riddled with Watermarks, in order to see if IT WOULD DO WHAT IT HAS CLAIMED and would be effective for the task I had to work on. I only needed to work on a tiny assignment for 3 days; and purchasing PR version 7/above would mean I'd need to BUY A NEW COMPUTER ALTOGETHER. I don't have the finances to buy a computer right now, hence my attempt to urgently sell my work edited with these softwares in order to obtain the much-needed dough ASAP. It seems, too, that version 9.5 works pretty much the same way as the previous versions before it, right down to version 5.0.4. How does one get Perfect Resize 7 (or even 9.5) to Resize images by 400X to 100% accuracy? As aforementioned, I've already tried tweaking the various Sliders and in different combinations, too. My apologies for misunderstanding your question as I was only going based on the text I saw. Yes, the trial version has watermarks because otherwise people could just keep using the trial version and not buy the actual product. I'm not sure what you mean by 100% accuracy, but Perfect Resize 9.5 is the best version they have to date. The quality of the resize will depend on the size of the original file and the quality of that image, but to get the best results you should look at the Settings section where you can specify an image type and more importantly a method. The method choices are Perfect Resize (best for portraits) and Genuine Fractals which is what I typically use. I typically turn all sharpening off so you might consider doing the same if you are unhappy with the results. Please keep in mind that resizes are done progressively meaning an image will go from looking very bad to better and better as it has time to make multiple passes. Once your cursor stops spinning then it is done (which can take a few minutes on slower machines). The results you have unsized at 100% will never be as good at 400% - even in older versions - because you are asking the software to add pixel data where it doesn't exist, so it approximates. The output, when printed, will look good from an arms length viewing distance and in my experience 9.5 is as good or better than the previous versions I've used with my sample file. Hopefully that answers your question, but if not then I'm afraid your only choice will be to give the image in question to onOne Technical Support so they can do an exact comparison between versions and give you some suggestions on what might be happening. Sorry fr the late Reply; I have been severely occupied. either Genuine Fractals or Perfect Resize. Are we able to do this with Version 7.5 as well?